Home › 4. Oil & Gas / Utilities › Journey Management – Where do we go from here? The odds are if you have been in the oil & gas industry for any length of time, you have had some type of involvement with Journey Management. The real question is, if you had to take a competency test on it, how well do you think you would fare? The truth is, most of us don’t know nearly enough, and even more frightening is that we don’t practice or support it within our organizations the way that it should be. That said, I don’t want to take the Doom’s Day negative approach in talking about this. Instead, this is to provide some clear insight about what we can each do to up our game or, in some cases, create what doesn’t exist within the company today. It’s likely we have all heard or read this statement more times than we can count over the years. The reality is we all need to travel, so pre-planning can help to ensure a safe trip! The reason for deploying a Journey Management Program is to reduce the likelihood that employees will be involved in a motor vehicle crash. Within the oil and gas industry, we know that year over year 40% of all fatalities are related to land transportation. Therefore, it is imperative and incumbent upon all of us to look at everything we do related to driving. Numerous solutions are available as subscription models based on number of users, frequency of trips etc., and most include a mobile app. 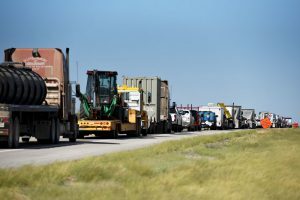 Most of these solutions allow the flexibility to modify the overall workflow based upon how the company operates and includes features such as a short Question and Answer for the Driver to submit that is then reviewed to approve or deny the trip based upon rulesets that have been put in place by the company. JM software is integrated into IVMS / GPS technology currently installed in the fleet to monitor real time progress. One important factor here is understanding that if you are using a cellular only based solution, the trip may continue well past where network coverage stops, thereby creating an issue with synchronizing with trip completion. An in-house or third–party JM call center is used to schedule, manage, track and complete trips. This may sound strange, but it’s important to ask. Has this person taken this trip before? What will happen if they don’t go? Customer-Operational impact? What are the current weather conditions for potential hazards? Can nighttime or high–traffic congestion driving periods be avoided? Will they be out of cellular network coverage for a period of time thereby increasing risk? When they arrive, will there be network coverage available to check in to confirm the journey to the location is complete? Employee must fill out a JM plan (either paper based or through an app) and submit for review. If approved, there should be a process for recording this approval. Information to identify the vehicle. Include the vehicle make, model, color, year and license plate number in case the employee goes “missing” during their trip, the searchers know what vehicle they are looking for. 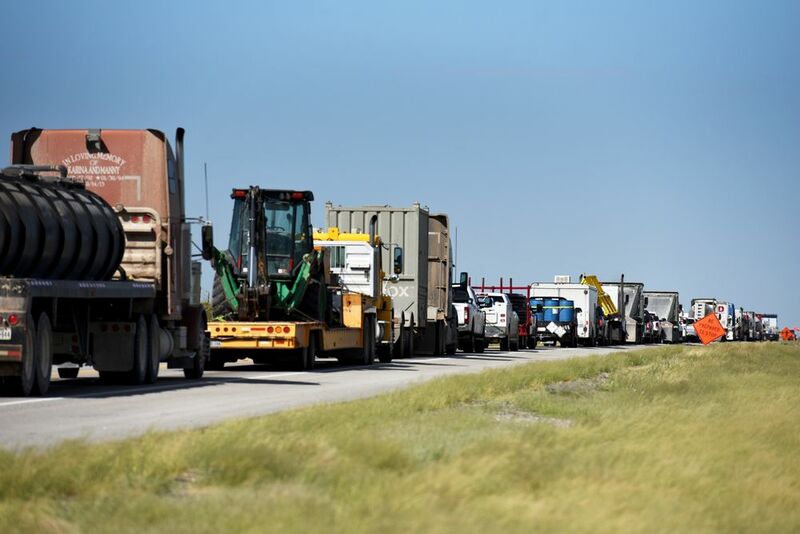 Vehicle Inspection process should also include a checklist for supplies needed for the journey based upon time of year/weather conditions and number of passengers in case of an emergency situation that requires basic survival needs. The travel route(s) Identify potential routes. There is usually more than one way to get to a destination, but the most direct route is not necessarily the safest. For each route, identify hazards and compare risks. Choose the preferred route. Typically, this is the route that avoids the most hazards and has the lowest overall risk. Identify an alternate route you will use if you encounter delays or difficulties along the preferred route. Write down the names of the roads you plan to use; include the alternate route. The address(es) of planned destination(s): Include planned stops along the way, and your final destination for the day. Driver and destination contact information: Write down the phone number for the device you will carry during the trip, and the names and numbers for people you plan to meet during the trip. It is imperative that both driver and manager keep in communication for the journey. There should be a clearly defined process outlined to identify how often the driver will be checking in based upon the length of trip. What means of communication / technology are being used to track progress and stay connected? It is essential to track the progress to final completion and document as such. This helps provide insight for long–term strategic planning to look at the number of successful trips based upon the data collected for each trip. Finally, meet with each member of your organization from the top to bottom and talk with them about their travel and make sure they give you lots of detail, from start to end and everything they do to prepare for it. This article previously appeared in Safety Corner in Well Servicing Magazine. 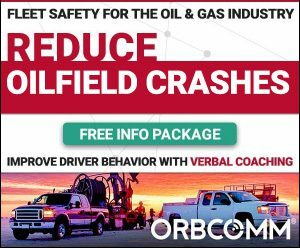 Paul Shouse is Vice-President of Sales at ORBCOMM specializing in oil & gas fleet safety.